El Campesino Restaurant located at 314 Newton St Jasper, IN 47546 received 7 liquor citations from the presiding alcohol controller inspectors on June 30,2017..All citations from liquor control authorities are serious. 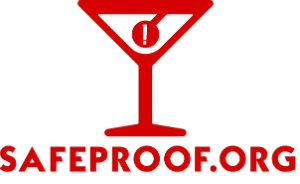 As SafeProof.org is a consumer advocacy organization looking out for the alcoholic beverage consumer, the citation against El Campesino Restaurant that is most disconcerting for us is Refilling Liquor Bottles and Containers. Liquor bottles are sealed and identified through a batch number and a UPC code to insure the liquid in that particular bottle was produced under the guidelines and regulations imposed upon the liquor industry for the health and safety of the public. When an establishment like El Campesino Restaurant, Jasper, In, refills liquor bottles and containers they are circumventing the tractability of the liquor they are serving. The consumer, nor the authorities, if need be, could not tract down the batch in a particular liquor bottle if it has been refilled. If a health issue should arise from the alcohol consumed at El Campesino Restaurant, tracing it becomes a dead end. No establishment should ever be refilling liquor bottles for any reason, an empty liquor bottle should be properly recycled not refilled.